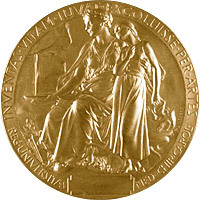 The 2010 Nobel Prize in Physiology or Medicine was announced on Monday. The prize was awarded to a British scientist for his role in developing human in vitro fertilization (IVF) therapy. IVF is a process by which egg cells are fertilized by sperm outside the body, in vitro. Over the years, IVF has helped millions of infertile couples worldwide have children. Biologist and physiologist Robert G. Edwards, age 85, at the University of Cambridge, developed the technique with obstetrician and gynecologist Patrick Christopher Steptoe, who died in 1988. The prize is worth about $1.5 million and is the first awarded in the area of reproduction. Infertility is defined as not being able to get pregnant after one year of trying for a woman 34 years of age or younger; six months if the woman is 35 years of age or older. Women who can get pregnant but are unable to stay pregnant may also be diagnosed as infertile. Both women and men can have problems that cause infertility. Approximately one-third of infertility cases are caused by women’s problems; another one-third are due to the man. The last one-third of cases are caused by a mixture of male and female problems or by unknown issues. 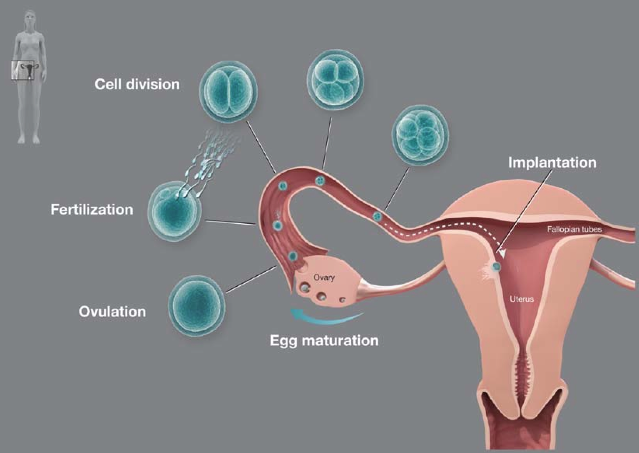 Most cases of female infertility are caused by problems with ovulation: the process by which a woman’s body releases an egg from one of her ovaries. Infertility affects ~10% of women (6.1 million) in the United States between the ages of 15 and 44 . Robert Edwards began his research on the biology of fertilization in the 1950s. He made a number of fundamental discoveries, elucidating how human eggs mature, how various hormones regulate egg maturation, when human eggs are susceptible to the fertilization by sperm and the conditions under which sperm is activated and has the capacity to fertilize the egg. In 1969, Edwards was able to fertilize a human egg in a test tube . The fertilized egg, however, did not develop beyond a single cell division, because it was isolated too early in development. Together with Patrick Steptoe, Edwards moved IVF from experiment to medical practice. Steptoe was one of the pioneers in laparoscopic surgery — an operation that uses a thin, lighted tube put through an incision in the belly to inspect the ovaries using an optical instrument called a laparoscope. Steptoe used the laparoscope to remove eggs at the proper stage in development from the ovaries and Edwards put the eggs in cell culture and added sperm. The fertilized egg cells now divided several times and formed early embryos. These early studies, although promising, were highly controversial and the Medical Research Council decided not to continue funding the project. A private donation allowed the work to continue. The work opened up a Pandora’s box of ethical dilemmas, the debate of which was initiated by Edwards himself. Several religious leaders, ethicists and scientists demanded that the project be stopped, while others gave it their support. The first “test tube baby”, Louise Brown, was born on 25 July, 1978, and the world was forever changed. Edwards and Steptoe went on to establish the Bourn Hall Clinic, the world’s first IVF clinic, in Cambridge. Gynecologists and cell biologists from around the world trained at Bourn Hall, where the methods of IVF were continuously refined. In less than ten years, 1,000 children had already been born following IVF at Bourn Hall, representing approximately 50% of all children born after IVF in the world at that time. Today, IVF is an established, safe and effective medical therapy used throughout the world; 20-30% of fertilized eggs lead to the birth of a child. The process has undergone several important improvements. For example, single sperm can be microinjected directly into the egg cell in the culture dish. This method has improved the treatment of male infertility by IVF. Furthermore, mature eggs suitable for IVF can be identified by ultrasound and removed with a fine syringe rather than through the laparoscope. To date, few studies have found an increased risk for health problems among children who are born following IVF. For those studies that have found differences in IVF children, researchers suggest that the increased risk is not due to the mode of conception but rather health and/or genetic problems of the parents that made them unable to conceive naturally in the first place. More recent data suggests that multiple births following IVF may be responsible for a large proportion of premature and low-birth weight infants , although that number appears to have decreased dramatically over the last decade . Edwards scientific contributions represent a milestone in the development of modern medicine. Approximately four million individuals have been born thanks to IVF. Edwards went on to found the journal Reproductive BioMedicine Online (RBMOnline) in 2000 and published it independently for almost 10 years; in 2009, he became Editor Emeritus. For more information on IVF and videos on infertility, visit the American Pregnancy Association. Edwards et al. 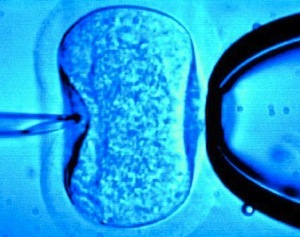 Early stages of fertilization in vitro of human oocytes matured in vitro. Nature. 1969 Feb 15;221(5181):632-5. Steel and Sutcliffe. Long-term health implications for children conceived by IVF/ICSI. Hum Fertil (Camb). 2009 Mar;12(1):21-7. Kallen et al. Trends in delivery and neonatal outcome after in vitro fertilization in Sweden: data for 25 years. Hum Reprod. 2010 Apr;25(4):1026-34. Epub 2010 Feb 5.